As Executive Director and Founder of PAL Pet Aid Learning, Jo-Anne is excited to change how you see, hear and care for your four-legged luv. She has extensive experience teaching and developing medical training and certification programs. As well as being one of the few organizations granted “Delivery Partner”, she was also a subject matter expert and reviewer for the Canadian Red Cross Standard First Aid program and the Wilderness and Remote First Aid program (for humans!). 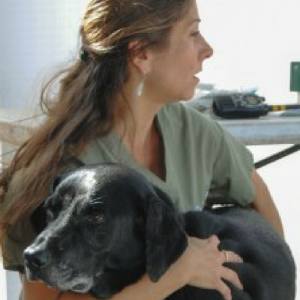 On the dog side of things, she has 4 years of experience at the Pet Emergency and Specialty Hospital in Ventura, CA. and, she is the Executive Director and Founder of K9 MEDIC™ a leading training organization with a mission to ensure that all Working K9s have access to first aid and prehospital medical care equivalent to their human counterparts. Previously, Jo-Anne has experience in SAR (Search and Rescue) and deployed to Hurricane Katrina with her working dog K9 Angel where she was assigned to a variety of search and tactical missions in collaboration with Medical Reserves Corps, ICE SRT and FEMA co-ordinated ad-hoc teams. Ms. Brenner’s certifications have included NREMT-Intermediate, EMT-Tactical ACLS, PALS, Rope Rescue Operator, Certified Special Operations Specialist, and Specialized Extraction and Rescue Tactics. Dr. Pasek is a sought out practitioner, educator, writer, and consultant. 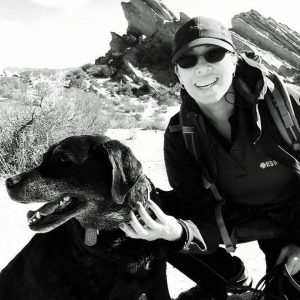 A graduate of Colorado State University, she has been an active educator since 1999 teaching at LA Pierce College RVT School, Professional Veterinary Assistant School, and the University of Davis Community Veterinary Medicine Teaching Hospital. Dr. Pasek lectures extensively and has developed many training programs and authored multiple publications for audiences ranging from the general public to RVT students and veterinarians. She is a case reviewer for the State of California Veterinary Medical Board and consults for a wide variety of legal, commercial, and government organizations. Dr. Pasek has been instrumental in developing field-realistic, and medically sound treatment and education strategies. She is an international speaker and consultant teaching to community groups, veterinary professionals and private industry. Did you know that that there is a national standard for dog and cat CPR? Just like human CPR is based on evidenced based medicine as is governed by a standards committee. “The Reassessment Campaign on Veterinary Resuscitation (RECOVER) initiative, [is] a collaborative project supported by the Veterinary Emergency and Critical Care Society (VECCS) and the American College of Veterinary Emergency and Critical Care (ACVECC) involving over 100 board-certified veterinary specialists from around the world. ” (https://veccs.org/recover-cpr/). PAL (Pet Aid Learning) has adopted and promotes this standard of care, ensuring the best outcomes for your four-legged Pal! The developers of the PAL Pet Aid Learning Program have been teaching first aid and prehospital care for more than 10 years. Our team of multi-disciplinary experts include Veterinary Emergency and Critical Care Specialists, Veterinarians, Veterinary Technicians, Human ER Physicians, Paramedics and K9 professionals. Our team members have “been there, done that” and are eager to share their experience with you.